The following trip report was written by Utah Forecaster Evan Thayer. Follow the Utah Daily Snow for the latest Utah snow forecast. In the world of ski media, referring to a resort as a "hidden gem" is one of the sport’s biggest clichés. It's so much of a cliché, in fact, that I try to avoid it at all costs. However, after traveling to Brian Head Resort this past weekend, I’m finding it difficult to describe this place as anything else. 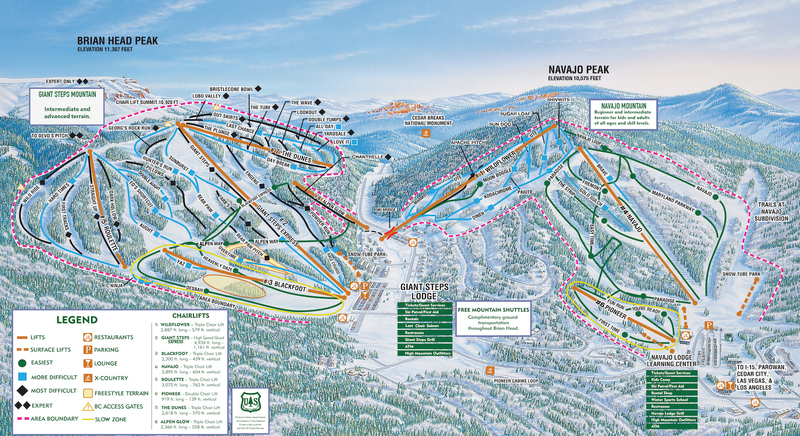 Brian Head offers 650 acres of skiable terrain, accessed by 9 lifts and 71 trails. The mountain stretches from a base elevation of 8,600 feet to a summit elevation of 11,300 feet. 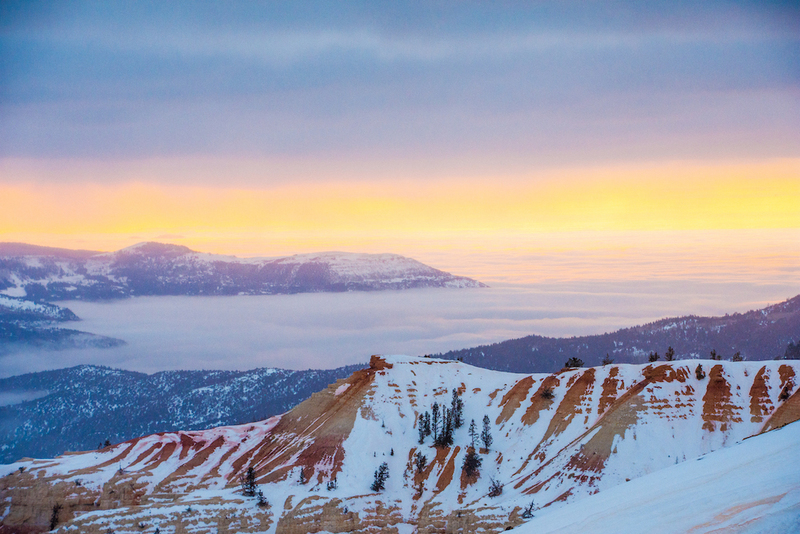 Our friends at Zrankings list Brian Head's True Annual Snowfall at 308 inches. 22% of the mountain is considered difficult terrain, 39% intermediate, and 39% easy terrain. 35% of the mountain features a west-facing aspect, 35% north-facing, 20% east-facing, and 10% south-facing. The lift operating hours run from 10:00 am - 4:00 pm on weekdays and 9:30 am - 4:30 pm on weekends & holidays (weather and lift depending). 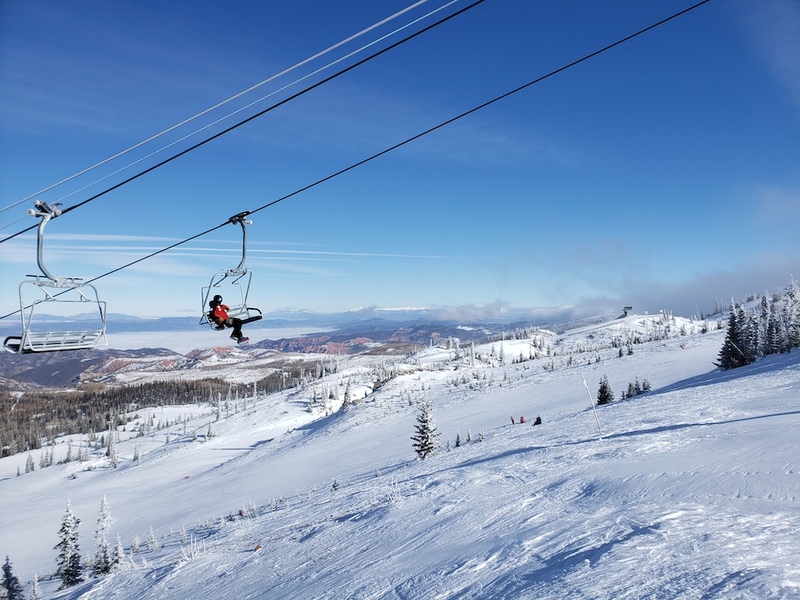 The base elevation of Brian Head at 9,600 feet puts it as one of the top 10 highest elevation resorts in North America and the highest in the state of Utah. The summit is also the highest in the state. 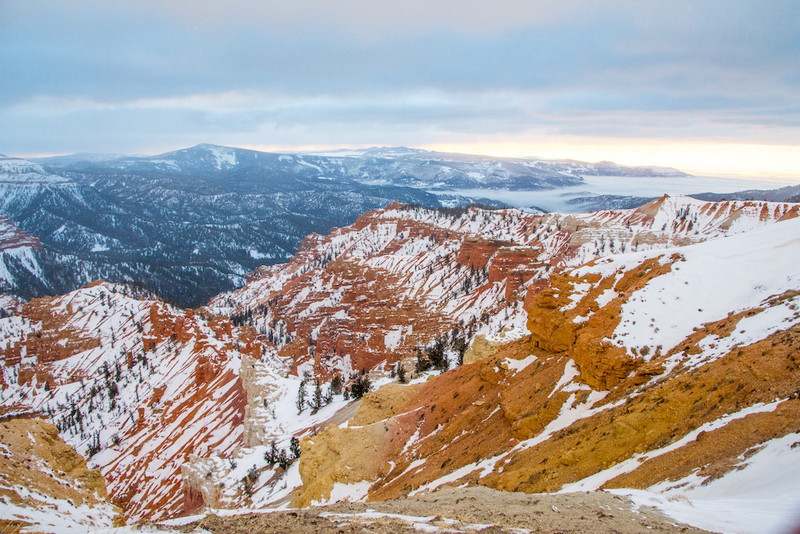 If you’re willing to hike to Brian Head Peak, it also offers some of the gnarliest terrain. Its true annual snowfall amount of 308 inches puts it above well-known resorts such as Telluride (276 inches) which is a few hundred miles east at a similar latitude. It also puts it only 46 inches shy of Mammoth Mountain (354 inches) in the Sierra Nevada, a resort that is known for its prodigious snowfall amounts. 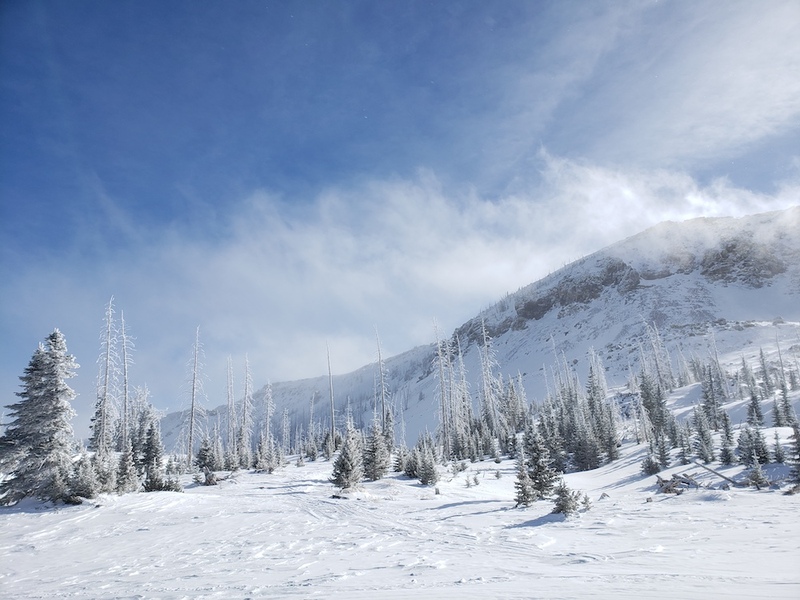 Because of its high elevation, Brian Head’s snow maintains high quality due to colder temperatures. The resort rarely has to worry about snow level issues that plague the Cascades and Sierras. It also benefits from both a southwest flow and a northwest flow, the two predominate snowy patterns in Utah. It’s rare that a resort can do well with both wind directions. I woke up at 6 am on a Sunday morning at my house in Salt Lake Valley and hopped in the car at about 7:15 am. Even stopping for gas and a bite to eat, I still pulled into the parking lot at Brian Head at 10:45 am, giving me more than 5 hours to ski that day. I met up with Trace and Mark of Brian Head’s Marketing/PR team. They kindly offered to show me around and we geared up and were on the Giant Steps Express lift by 11:00 am. The top of Giant Steps is 11,000 feet and offers stunning vistas in every direction. In front of you, you have Brian Head Peak. This is the top of Utah's famous Grand Staircase. This is actually in-bounds terrain and later in the season, once snow has filled it in further, it is popular hike-to terrain for the more daring skiers. As you can see in the photo above, there is no shortage of steep chutes and couloirs along this ridgeline. From the top, we skied over to Chair #7. Chair #7 offers some really good tree skiing and more advanced terrain, but the real reward on this day was the views. The red rock of the adjacent Cedar Breaks National Monument provides a stunning backdrop to this chairlift. As you can see in the photo above, there is also a sea of fog in the valleys to the west down toward Cedar City. This low-elevation fog added to the "top of the world" feeling that Brian Head gives its patrons on bluebird days. After a speedy groomer lap on Chair #7, we sped over to Chair #5. Chair #5 is the money chair on a powder day. It offers these large fields of young trees that are perfect for dancing through at speed. In my previous storm-chasing trips to Brian Head, I’ve spent most of my day blissfully lapping Chair #5. We then crossed over and skied down the aptly named "Powder Run" and over below Chair #8. Here, you can cross the highway on a snow bridge over to Chair #1 and the Navajo side of the mountain. This is an entirely different side of the mountain that faces east rather than west like the Giant Steps side. Navajo area offers beginner and intermediate terrain, as well as additional views. On a clear day, you can see north to the Tushar Mountains of Central Utah, west to Wheeler Peak and Great Basin National Park in Nevada, and south to Zion National Park and the north rim of the Grand Canyon in Arizona. Again, it feels like you’re on top of the world. Expecting to pay more than $20 per meal at a ski resort? Not at Brian Head. 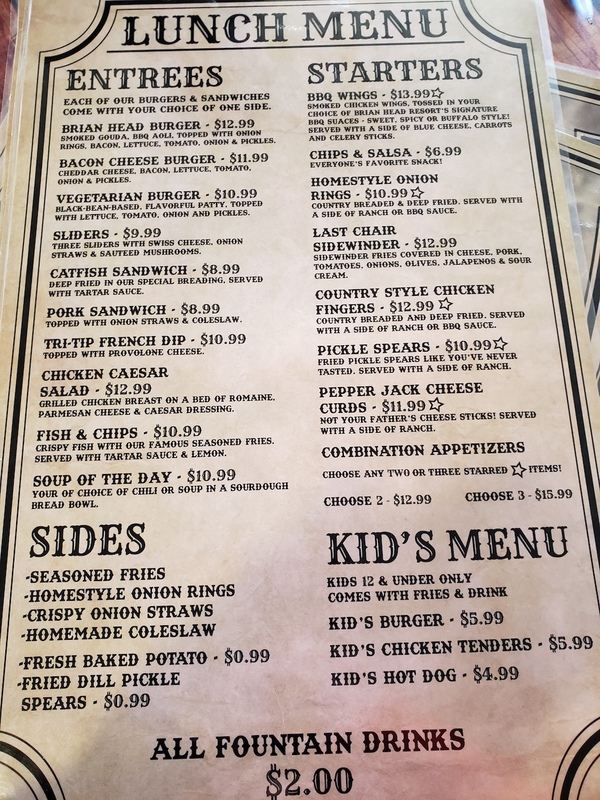 All entrees were priced between $9-$13, which is about what you’d expect to pay at an off-mountain restaurant and probably less than meals in most cities. These weren’t skimpy portions either. I ordered the Tri-Tip French Dip on the suggestion of my guides and I couldn’t finish the whole sandwich or the fries it came with. After filling up, we set out again and did a couple more laps before the lifts closed at 4 pm. Once the sun had set and darkness was setting in, it began to snow. I walked back to my car and drove back down to Cedar Breaks Lodge for dinner with John Grissinger, owner of Brian Head, as well as Shad Hunter, Director of Ski Patrol, and Trace who had shown me around the mountain earlier in the day. John was a man after my own heart. Upon introductions, he could not wait to sit down with me, pull out a laptop and a notepad and start asking me questions about the intricacies of weather models, forecasting, and the ski industry. We talked for 10 or 15 minutes about how snow forecasting is done and how I came to become a forecaster. For somebody like me, who obsesses over weather and has dedicated much of my life to educating others on weather and snow forecasting, it really is rewarding to see somebody like John, with an almost boy-like curiosity about my field. How John came to own Brian Head is also a fascinating story. After a successful business career in Kansas City, John sold his company and was looking for a new project. As he tells it, one day he got a call from his accountant letting him know that there was a ski resort in southern Utah for sale. John did not hesitate. He bought Brian Head SIGHT UNSEEN in 2010 and immediately turned it into his next project. Brian Head has made a number of improvements in the last few years and because of that, ticket sales are on the increase. John spends much of his time in his cabin overlooking the resort, not just literally, but figuratively as well. He is heavily involved in its day-to-day operations. This personal commitment to the resort is immediately apparent. There is an unmistakable "family" atmosphere amongst the employees. Every worker seems to know every other worker well. There is a lot of hugging between them. On several instances, both a husband and wife work for the resort. The phrase I kept hearing as I spoke to various employees was, "At Brian Head, you’re not just a number." After dinner, I retired for the evening. I woke up early the next day. 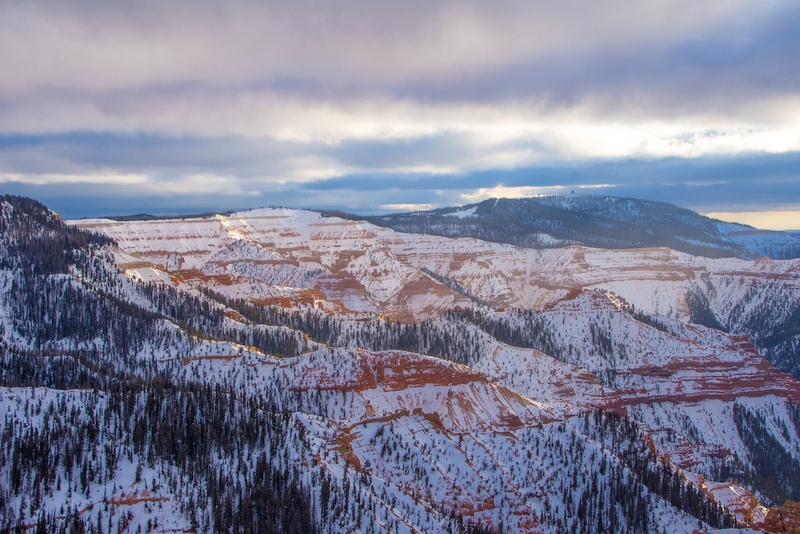 I wrote a forecast as I always do, then set out again for Cedar Breaks National Monument. I was hoping for sunrise over the red rock, but the clouds were too thick. So instead, I put on some ski skins and started hiking through the woods. I was able to find some very good backcountry powder stashes. The snow the previous evening only amounted to a couple inches, but the wind had picked up so it was not difficult to find wind deposits where it was 6-12 inches deep. After my hike, I grabbed breakfast, checked out of the lodge, and met up again with Trace. We skied for a few more hours – meeting up with Scott, another patrolman for a few runs. The wind was strong ahead of a big storm moving in, but it was easy to find wind-protected areas where snow was being blown into. We were able to find soft, chalky turns each run. Around noon, I called it a day. I said one last goodbye to Trace, John and the rest of the Brian Head crew and drove back up to Salt Lake City. On my drive home, I had a couple of hours to reflect on what makes Brian Head such a great place to visit. The obvious reasons are that it’s got good terrain, great snow, and spectacular views. There are several resorts that can make a claim to those factors, however, Brian Head is unique for other reasons. Ultimately, I decided it was a combination of price and proximity that makes Brian Head unbeatable. A weekday full-day adult lift ticket is only $42. On the weekend, that only goes up to $59. Ski lessons and lodging are also only a fraction of what you pay at other resorts. 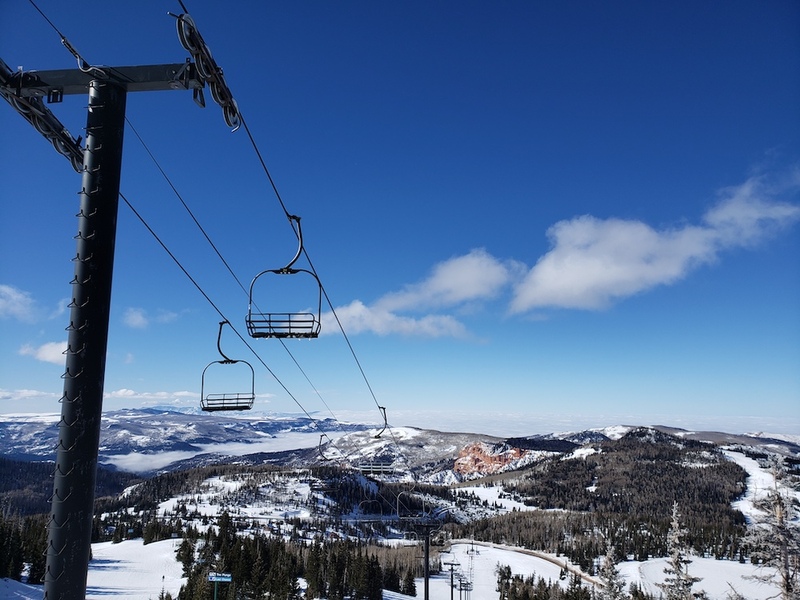 The prices are so good in fact, that many northern Utah locals in the Salt Lake area are traveling down to Brian Head to ski despite the wealth of skiing they have close to home. Residents of Las Vegas have long known that Brian Head is their best option. Less than 3 hours away, it is an easy escape to drive up to Brian Head for the weekend. Nevada license plates make up a large portion of the parking lot. Even for Southern California skiers, Brian Head may be the best option. A similar distance from SoCal as Mammoth and Tahoe, Brian Head offers similarly great skiing at a fraction of the cost. Not to mention the fact that at Brian Head you have ski-in/ski-out access to the parking lot, cheap on-mountain food options, and what seems like a whole mountain to yourself. When you combine the price/proximity factor that Brian Head offers with all the other great factors I experienced during my trip, it’s easy to see why so many people are choosing Brian Head. I’ve chased powder down there several times before, but this trip has really made me want to establish Brian Head as a place I consider one of my "home mountains". After all, I feel like I'm already part of the Brian Head family! Visit BrianHead.com for all lodging, event, and other ski-related information. 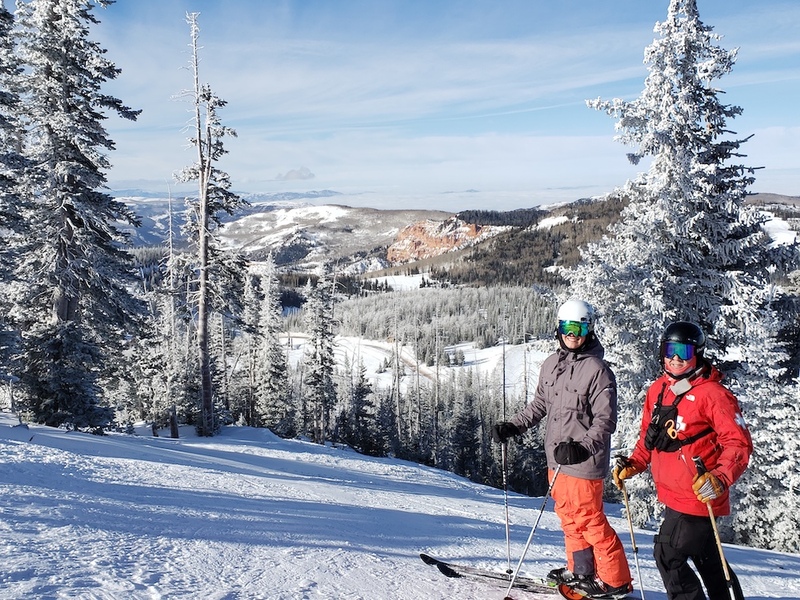 This trip report was sponsored in partnership with our friends at Brian Head Resort.